All villages electrified but what about the houses? According to a Bloomberg report, less than 8 pc of the newly electrified villages had all homes electrified; 30.6 million rural households in the country are yet to receive a power connection. On April 29, India witnessed a spectacular moment when Prime Minister Narendra Modi announced that all of India’s 18,452 census villages now have electricity. This has been a huge step after World Bank had called India the world’s largest unelectrified population. International Energy Agency (IEA), a Paris-based agency said in its Global Energy and CO2 status report 2017, that India has made significant strides in improving access to electricity, with half a billion people having gained electricity since 2000 and a near doubling of the access rate, to 82 pc of the population now, up from 43 pc in 2000. When Modi came to power in 2014, 300 million people in India were devoid of electricity. The government had promised to provide electricity to all villages within 1,000 days. But the question that has been raised is when are the houses going to get electricity? “The government considers a village declared as electrified if it boasts basic electrical infrastructure and even 10 pc of its households and public places, including schools, local administrative offices and health centres are connected to the state/central electrical grid. India has traversed a long, hard, impressive journey towards achieving cent percent electrification,” said Indu Bhusan Chakraborty, vice president – commercial, India Power Corp Ltd (IPCL). Electrification of rural areas has been the agenda for the National Democratic Alliance (NDA) government as well as the United Progressive Alliance (UPA) government. Around 1,500 villages had been electrified at the time of independence, the number reached 481,124 in 1991; 63,955 villages were provided electricity during the 10th five-year plan (2002-07) and 45,955 villages during the 11th plan (2007-12); 579,012 villages, or 97 pc of India’s villages, were electrified by March 31, 2015. According to the Deen Dayal Upadhyaya Gram Jyoti Yojana (DUGJY) 99.8 pc of census villages had been electrified – “intensive electrification” had been completed in around 80 pc of villages. The government has provided 22.063 million free electricity connections to BPL households. As per data by the government, 82 pc of Indian households have been electrified and seven states, Punjab, Gujarat, Goa, Kerala, Tamil Nadu, Andhra Pradesh and Puducherry have achieved 100 pc household electrification. What is the government planning to do now? The government should not only focus on providing electricity but providing electricity on a 24-hour basis should be the priority. According to government data, only six states had 24-hour power supply in rural areas as of December 2017. 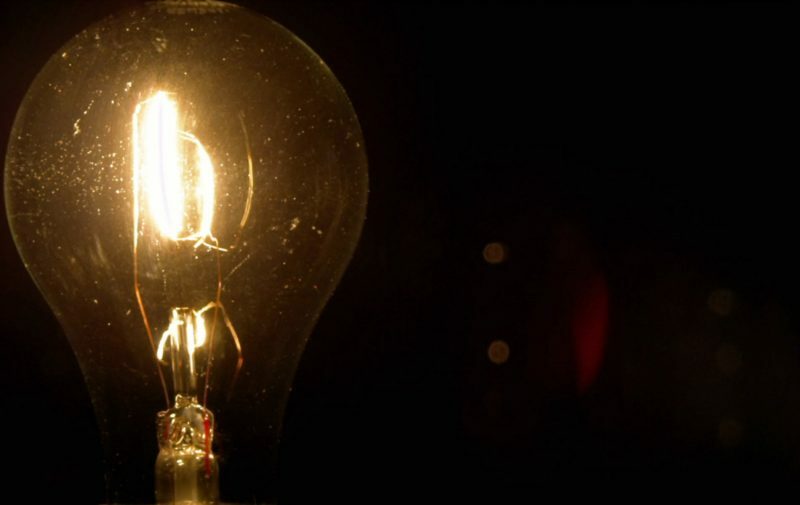 A Council on Energy, Environment and Water report in 2015 had said that over 50 pc of electrified households in villages of Uttar Pradesh, Bihar, Madhya Pradesh, Jharkhand, Odisha and West Bengal do not get 12 hours of supply in a day. To improve electrification coverage in rural areas and provide 24-hour power supply to all households, the government has launched the Pradhan Mantri Sahaj Bijli Har Ghar Yojana (Saubhagya) scheme and had allocated INR 163.2 billion (EUR 204.282). The government is planning to reach its deadline of providing electricity to all household before 2019 elections. But can it be done? “I am sceptical that the government would be able to electrify all the households by 2019. It is going to take many more years after that. The government’s records add that per latest government data, India has electrified only about 13 pc of the almost 36.8 million homes identified in October as needing power. To meet its electricity to every household promise, the government will need to more than triple its monthly electrification pace. And mere power poles and transformers won’t suffice; access to electricity has to be backed by reliability, quality and duration of supply for the hinterlands,” added Chakraborty. How cost effective will it be for the people in villages? The initiative by the government should not only focus on providing electricity to every house in villages but they should also focus on how the villagers can afford it. Keeping the sustainability of the environment should also be on the government’s agenda. “The context of development is very different between and within various power starved areas in India. Energy poverty is suffered both by those on the periphery of sprawling urban areas and by those in remote rural villages. Their prospects for reliable grid connection are different, though in neither case are they particularly good. In both cases, there are reasons grid access has not yet arrived, ranging from corruption to lack of funding. How good are fossil fuel power plants if they do not lead to greater grid access? Not much. In fact, they entail huge costs and risks relative to renewables. Large coal or gas have to be imported from a different location or transported over long distances, it pushes up the price of power, higher than clean alternatives. If the power plants are big enough, they will eventually be subject to pollution controls, which will again push up prices. Fossil fuel plants require a ton of fresh water: This need has resulted in the state of Maharashtra having to shut down fossil-fuel power plants during summer, just when the load is highest. Another important issue is high fuel and operating costs. Dependence on a fossil fuelled grid ties the poor to unpredictable and widely fluctuating fuel prices; with modest incomes and little savings, they are the least prepared to cope with spikes in cost. With current coal market woes, India is having trouble running the coal plants it already has. Very small increments of energy access can make a very big difference in the lives of the poor,” concluded Chakraborty. The government recently implemented a scheme of providing seven million solar study lamps in five states, where rural household electrification levels are low.